This week I'm not going to post any outfit posts in fact that I've been wantin' to post some posts about inspiration stuff, so this week you'll have 2 inpiration posts and 1 Week Moments. Today I show the styles on fashion show of one of my favourite and one of the brands that I really identify with, Marc by Marc Jacobs. Marc (the one of the last photo, the designer), wanted to highlight the collection with jackets. 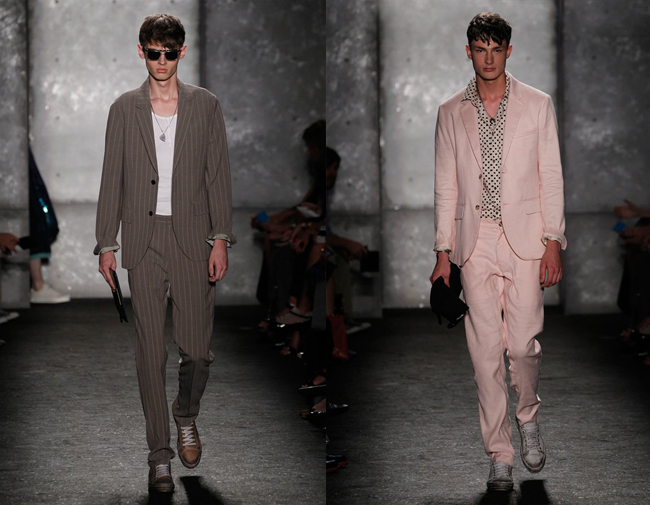 The style was a street man of New York who wears suits for an everyday life but with the iconic and urban touch. 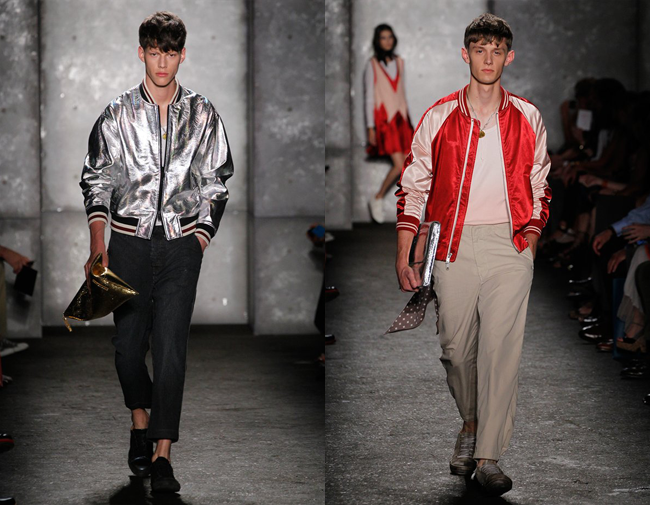 For patterns, prints and styles: we can see some patent leather, varsity, straight lines... Basically, eighties. Hope you liked this little review of what happened on the runway and see you next Thursday with a new post. Do you like this sort of post? Thank you so much for your lovely comments and those 200 followers on the blog. Esta semana no voy a publicar ninguna entrada con outfit ya que tenía bastantes ganas de publicar algo sobre inspiración, así que esta semana va a haber 2 artículos de inspiración y 1 Week Moments. Hoy os enseño las propuestas en desfile de una de mis firmas favoritas y con la que más me identifico, Marc by Marc Jacobs. Marc (el de la última foto, el diseñador), quiso destacar la colección con chaquetas. El estilo que propuso fue un hombre de Nueva York que arriesga con trajes no muy puestos para el día a día, con un icónico y toque urbano. Para los patrones, estampados y estilos: observamos el charol, varsity, lineas rectas...Básicamente, vuelta a los años ochenta. Espero que os haya gustado la pequeña revisión y mi pequeño punto de vista de lo que se vio en el desfile, nos vemos el jueves con un nuevo post. ¿Os gusta este tipo de posts? Muchas gracias por vuestros comentarios y esos 200 seguidores en el blog. 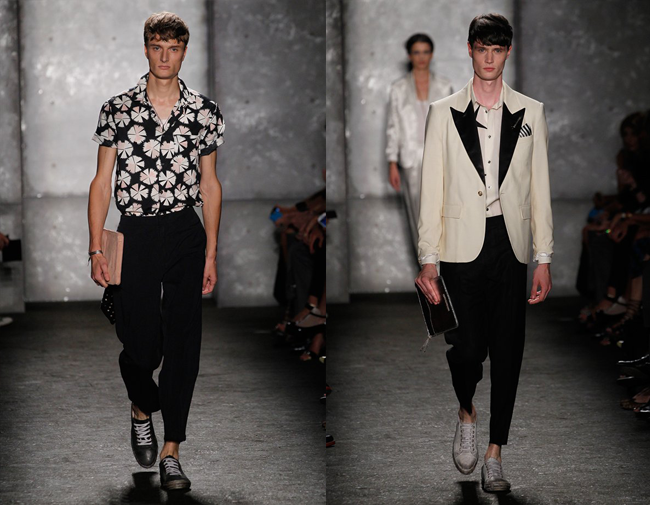 Nice men's looks inspiration in this post! Thanks for your comment and following my blog. Follow you now on GFC (Cassandra L.M.) too. Keep in touch..
Lovely! Followed you back on GFC ;) Can't wait to see more of your posts! Hola Sergio! Gracias por pasarte por mi blog! Te sigo en GFC, Bloglovin y Google+ Tienes un blog estupendo sigue así me encantará pasarme a leer tus entradas. Espero verte por mi blog me encantaría no perder el contacto. Te dejo el link a mi fb page si quieres pasarte a mirar. Si te gusta te sigo en la tuya también. that silver jacket, my goshh..... amazing! 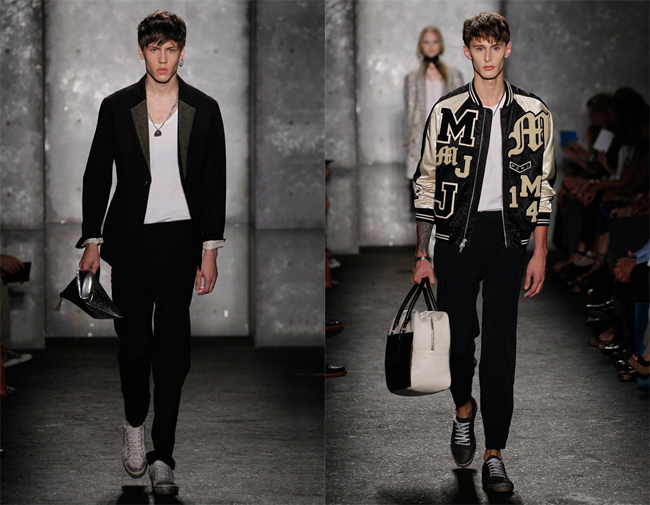 I love Marc Jacob. Very good collection. Such a stylish outfits! Would you like to follow each other via Bloglovin and Gfc? I would love to see more posts from you! Oh, I LOOOOVE Marc Jacobs, not only his designs but also him! I could marry him, I swear! lol. love it all! it's so stylish! Beautiful inspiration, we need more blogs for and from men! Follwed you back on GFC, if you like also follow on Twitter @StephanieT2525 , Facebook, Bloglovin & Instagram and I'll follow back! Hola Sergio, gracias por tu visita y comentario! te sigo!!! Hola Sergio!! Mil gracias por pasar por mi blog y comentar, en cuanto a seguirnos, yo ya seguía u blog, asi que puedes seguirme de vuelta en confianza haha. un abrazo. Tienes buen gusto Sergio. te sigo tambien. Estos post inspiration están genial!! Las propuestas del desfile me han encantado!! Thank you for stopping by my blog, Love your blog! !Grate layout! Now folloing over bloglovin! I really like the top with stars and the jacket with initials! I will take them as inspirations too! Thanks for following, I did followed you back! Of course, I'd love to follow each other! Now I followed you on GFC!! You have a great blog gladly I followed back. 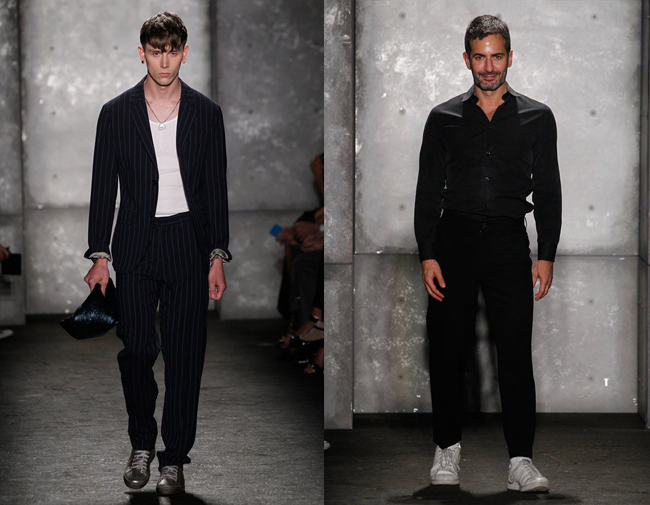 Marc Jacobs rocks the black suit is my fav. 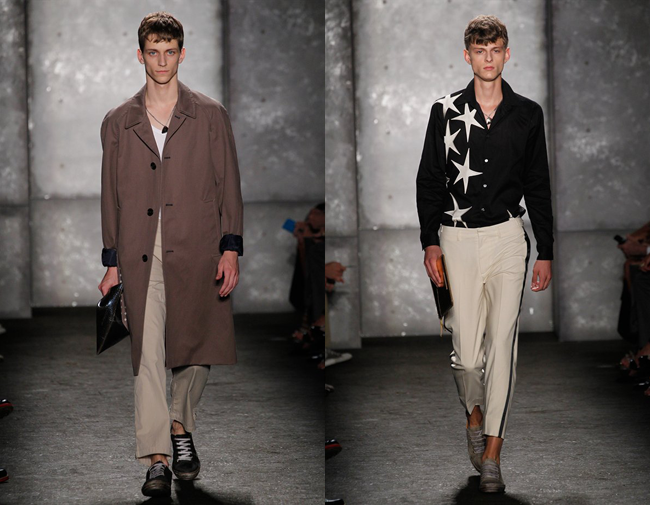 Great menswear inspiration! 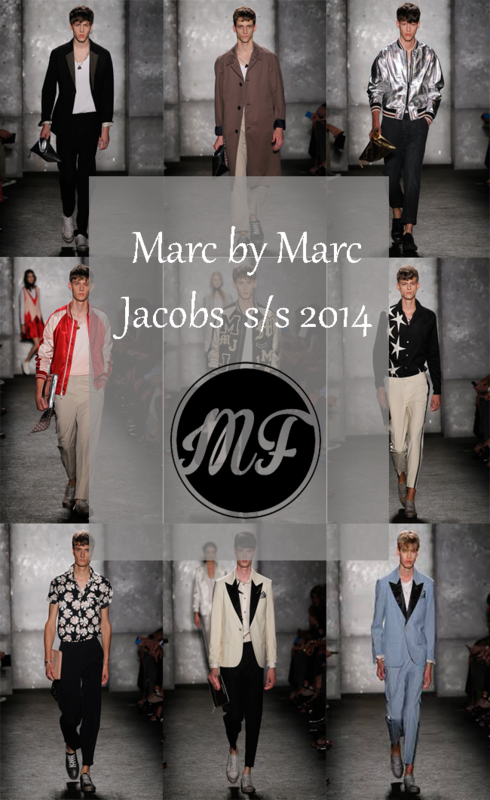 I love Marc Jacobs and you have a great blog! New follower here and I wish you a good rest of your week! Un post genial. Muchas gracias por visitar mi blog, y por supuesto que te sigo!!! Gran diseñador y grandes propuestas !!! Love the collection! Thanks for stopping by my blog. I followed you back via GFC. See you around! hey dear!! thank you so much for your lovely comment. your blog is awesome and this post is very inspiring! like the style. I'm following you now. hope you'll have a wonderful weekend. followed back on GFC, maybe we can also follow on FB/Instagram and twitter ! great collection! would you like to follow each other (GFC, Bloglovin and FB)? Let me know. Thank you for the comment. You have a new follower via GFC. Fabulous post!! I love Marc Jacobs!! I am following you back Sergio. Thanks for the sweet comment. Amazing collections! Love your blog and style! Thanks so much for your sweet comment on my blog dear! I am happy to see you followed me too! I just started following you yesterday or the day before, on GFC and hope we can keep in touch! Love your blog too! Have a good weekend. Unas propuestas geniales! Gracias por visitar mi blog, por supuesto también te sigo .Un beso. Amazing collection! lot of inspirations for style and prints! thanks for follow. follow you too! wow the collection is just stunning!♥ great blog! :) I followed you on bloglovin,google+ and I liked your facebook page with my personal account (petra lorencová)♥ you can follow my blog too if you'd like;) kisses! great collection. followed you back dear! Thanks for your comment and the follow! I follow you now on GFC, facebook, instagram, twitter and bloglovin! Really love your blog dear! I think its the guy blog I liked the most! Random question: how/where do you get the icons for facebook, twitter, instagram, etc. that are at the top right of your blog? Adoro esta marca! Obrigada pela tua visita ao meu blog. Ja sigo o teu blog. I love his work. Congrats, you have such a great blog.